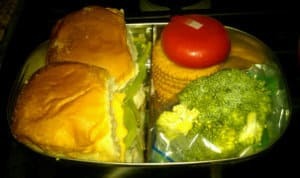 Once again, I made fun lunches for my son. He gets a cool lunch and I get a happy boy who loves school. 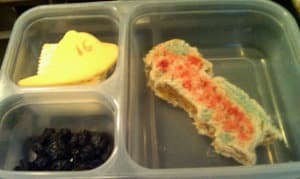 For the next lunch, I did my best to make a firetruck peanut butter and jelly sandwich with Edible Color Markers and a Fire Truck Cookie Cutter . 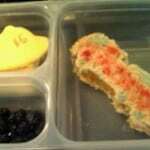 I added dried blueberries, crackers, and cheese cut like fireman hats. I added number 16 for our favorite Houston Fire Station. 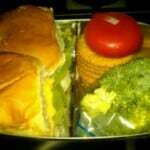 The day Joe took this lunch to school, he ran in the gate and told me I could go home. I’m calling this a successful lunch box.